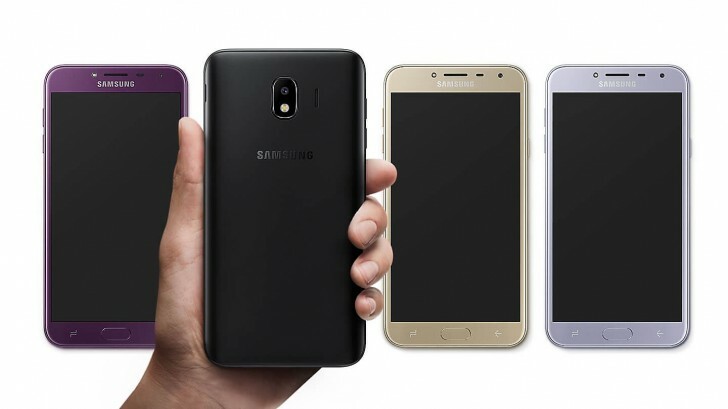 The Samsung Galaxy J6 is the first member of the series to pack an Infinity Display - a 5.6-inch 18.5:9 AMOLED unit. Its resolution is just HD+ (720x1440), but the slim side bezels are present. Under the hood is Samsung's own Exynos 7870 chipset with octa-core Cortex-A53 CPU running at 1.6GHz, Mali-T830 MP1 GPU and 3GB of RAM. The 32GB of internal storage can be expanded via the microSD card slot. On the back, you will find a single 13MP camera with f/1.9 lens and no OIS. 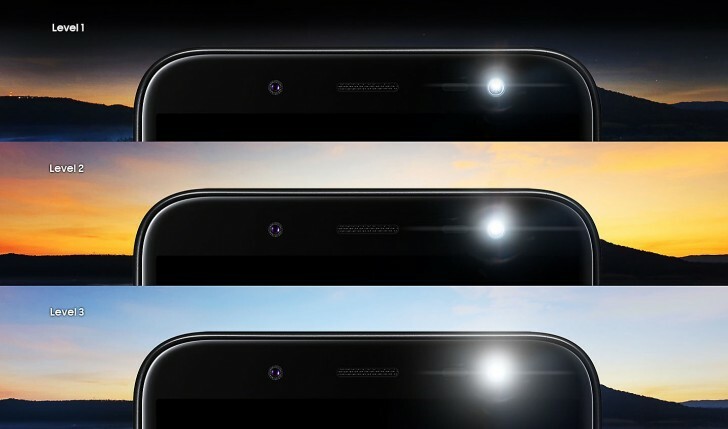 The front-facing camera does 8MP stills, and also comes with f/1.9 aperture and an LED flash with three different levels of brightness. Something the selfie fans will surely appreciate. This is driven by Android 8.0 Oreo out of the box with Samsung Experience interface on top. The battery is rated at 3,000 mAh and the fingerprint sensor is mounted on the back. 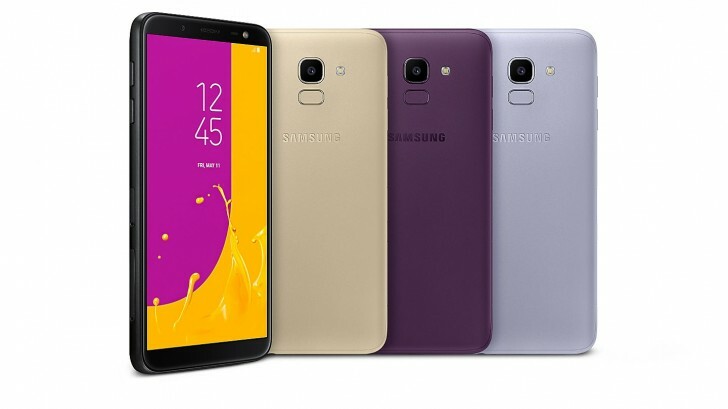 The Samsung Galaxy J4 has a 5.5" Super AMOLED screen with the good old 16:9 ratio and 720 x 1280 pixel resolution. The Exynos 7570's quad-core CPU is clocked at 1.4 GHz, while the Mali-T720 MP1 is in charge of graphics. The memory configuration is 2GB RAM + 16GB storage with microSD card slot present for quick top-ups. The primary camera is the same as on the Galaxy J6 while the front-facing shooter uses a 5MP sensor instead of the 8MP one on the more expensive model but keeps the adjustable LED flash. Again Android 8.0 Oreo is behind the wheel and interestingly, the battery capacity has been retained - 3,000 mAh. As far as pricing goes, the Galaxy J6 with 4GB RAM and 64GB of storage goes for INR 16,400 ($240) while the 3/32GB variant is INR 13,990 ($205) in India. The Galaxy J4's price is yet to be confirmed. So, only 2gb/16gb/720p for the latest models with non sealed batteries now? J Series should have Gorilla Glass!